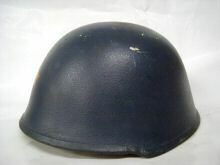 "It was issued to the "special" units of the MUP, but was used during the civil war by whoever could get it. 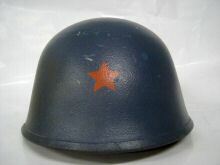 This model was actually used by all the republics". 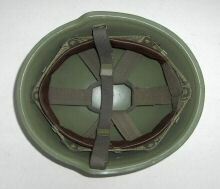 "Identical design & manufacture as the M89 army version. 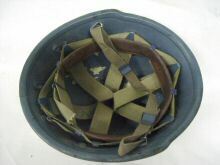 Blue-nylon liner variation exists as well.Issued in dark blue/green, with red star in front (later covered by Serbian tricolor police insignia). 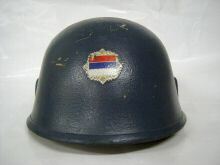 This helmet saw mostly use in Serbia & Montenegro, I've never seen these in use in other republics. 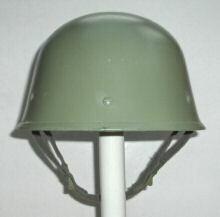 No manufacturer label or stamps nowhere, and I've handled 20 of these in a warehouse, not one of them has markings, only the green army ones seem to have the " Hadzici" manufacturer stamp in the dome ." 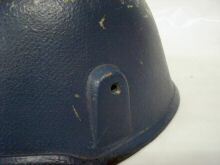 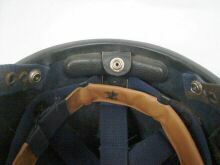 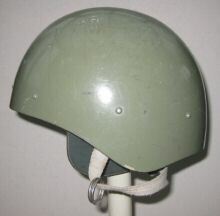 Essentially the same as the standard M89 shown above but with the lateral faceshield attachments and 5 press studs in the back for a padded short leather neck protection. 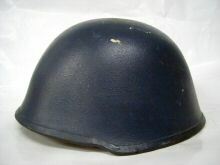 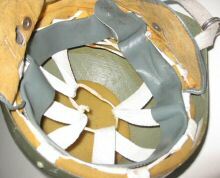 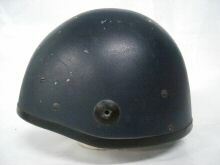 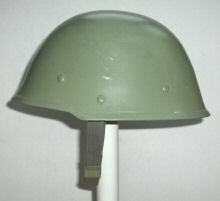 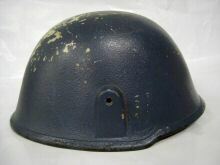 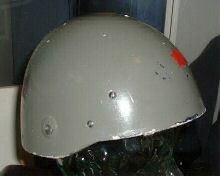 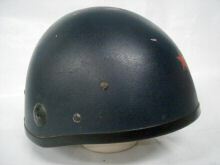 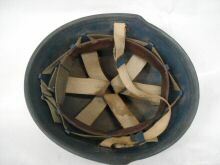 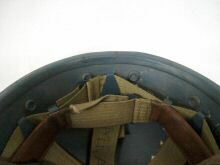 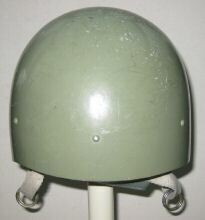 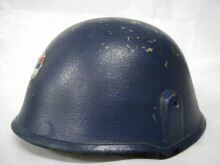 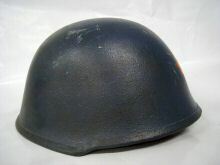 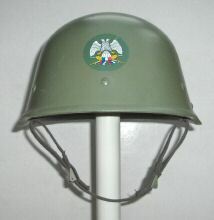 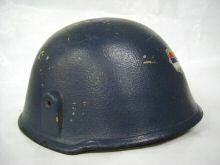 "PC99 model Para helmet used by 36th Airborne Division based at Nis. 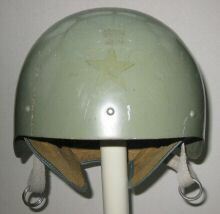 Green fibre glass shell with white cotton Riddell-esque liner and grey/green leather ear-covers / neck-guard. 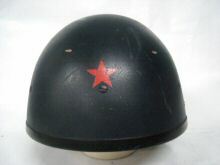 Red star emblem evident (but not prominent) to the front. 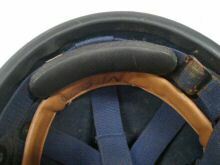 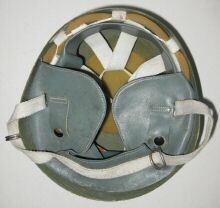 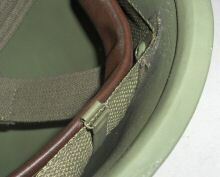 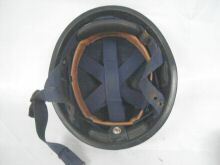 Green leather sweatband and white cotton Y straps - a separate chin cup/strap was attached to the 2 metal "O" rings on the white cotton straps (this is missing from this example). 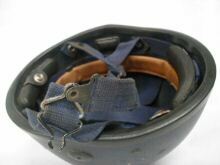 An extremely lightweight helmet which could have only offered minimum protection."